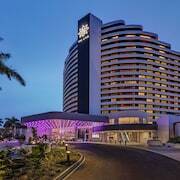 Which hotels are closest to the Oxenford airport? 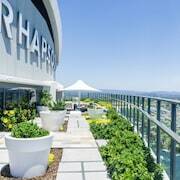 Where to stay near top Oxenford attractions? What kind of hotels are in Oxenford? 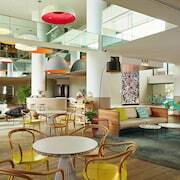 Which hotel chains are in Oxenford? 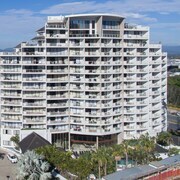 Visitors can enjoy all that Oxenford has to offer including the theme park, restaurants, and sporting events. 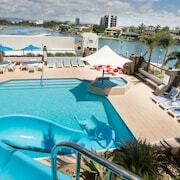 Top sights in the city include Warner Bros. Movie World and Wet'n'Wild Gold Coast. 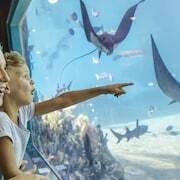 Families come for attractions such as Warner Bros. Movie World, Wet'n'Wild Gold Coast, and Paradise Country. In the area, you'll also find Dreamworld and Sea World. 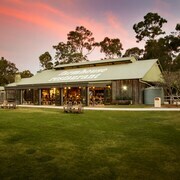 Paradise Country Farmstay is located in central Oxenford. Guests who stay at this 2-star campground in Oxenford can enjoy access to a restaurant and free parking, along with an in-room coffeemaker. Our customers like its dining options and helpful staff. 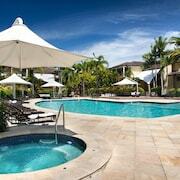 Mercure Gold Coast Resort is located 0.5 mi from the heart of Oxenford. Guests who stay at this 4.5-star hotel in Carrara can enjoy access to 2 outdoor pools and a full-service spa, along with a private balcony. 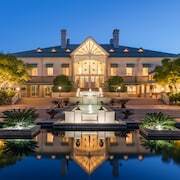 It's a favorite with Expedia travelers for its family-friendly amenities and dining options. 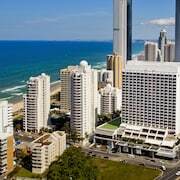 Novotel Surfers Paradise is 9.6 mi from the center of Oxenford. 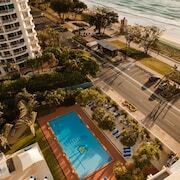 This 4.5-star hotel in Surfers Paradise features a restaurant, an outdoor pool, and a fitness center. Our customers like its overall value and proximity to shopping. 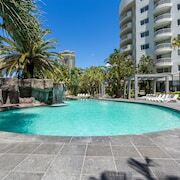 Top places to see around the area include Cavill Avenue, located 10.1 mi (16.3 from the heart of the city, and Surfers Paradise Beach, which is 10.4 mi (16.8 away. 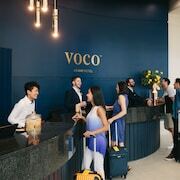 What are the most popular hotels in Oxenford? 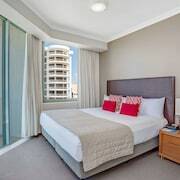 Are there hotels in cities near Oxenford? 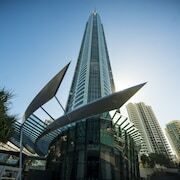 Explore Oxenford with Expedia.com.au’s Travel Guides to find the best flights, cars, holiday packages and more!